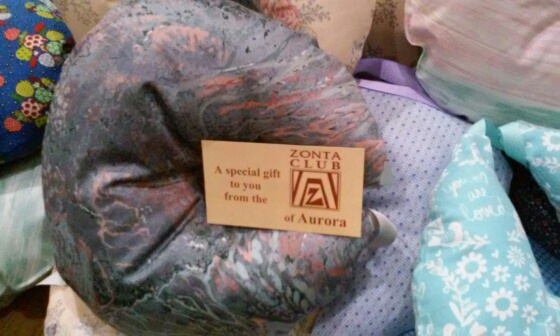 The January Meeting of the Zonta Club of Aurora Area was devoted to the construction of breast cancer pillows which were donated for the comfort of women undergoing mastectomy surgery. 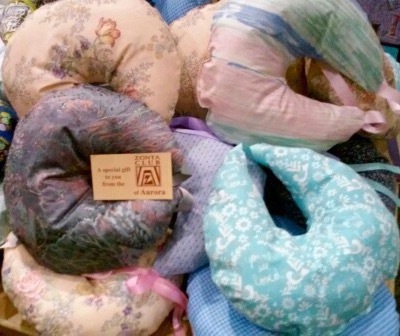 Ninety-three pillows were cut out, stuffed, sewn, and attractively packaged. They were then delivered to three area medical facilities: Presence Mercy Medical Center and Rush Copley Cancer Center in Aurora, and Living Well Cancer Resource Center in Geneva. 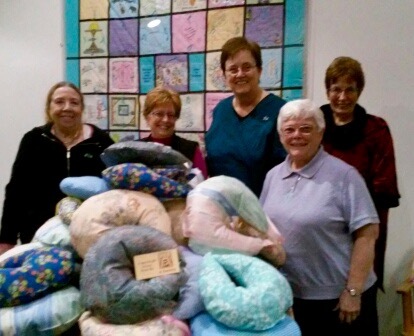 Each year personnel at these two facilities gratefully receive pillows from our club, where they are gifted to women who are recovering from surgery. The Zonta Club of Aurora Area was established in 1959; we celebrate 57 years of service and contributions to local charities and organizations that work to empower women. In addition, we contribute over 30% of our fundraising monies to Zonta International service projects. We also support two scholarships each year to girls selected from Aurora high schools. Currently some of our service projects include constructing breast cancer pillows for local hospitals to distribute to mastectomy patients, putting together baskets for women at LifeSpring, providing necessities for women in crisis. • Annual dues are around $125. • We meet once a month for dinner, a business meeting, and usually an educational activity or service project. • Members assist in fundraising activities, about three events per year. 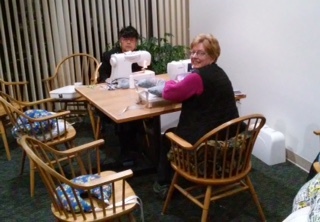 • Members enjoy providing items and materials for our service projects, as individual circumstances allow. • Become part of a greater movement to help women in our local community and around the world. • Engage in local service. • Network with like-minded individuals around the world. • Enhance your understanding of global issues. The Aurora Club is having an event on Nov. 5th. It will be recruiting new members and a Trades for Hope event. We will be giving a talk on Zonta and a talk on Trades of Hope. That is an organization that has the same goals as Zonta. Women in impoverished countries learn to make jewelry and other items that are sold here and those women can help support their families. We will have a Silent Auction and sell Trades of Hope items. It will be at the Aurora Santori Public Library, 101 S. River St. in Aurora, from 2-4 p.m. On November 5th. Credit cards are accepted by Trades of Hope, but the Zonta Silent Auction and raffle tickets only accept cash and checks. Light refreshments will be served. The Zonta Club of of Aurora website is undergoing a complete redesign. Please check back periodically as new information will be posted.